according to Twitter, Marys are winning well against Newbridge. 17 nil up on 51 mins. Good result if they can keep it up. Final score 24 - 7. Fintan's near win (which they deserved and lost ultimately because of goal kicking) would probably have been the biggest upset ever in the cup, up there with Gerrard's beating 'Rock c.2010. Such a pity. neiliog93 wrote: Fintan's near win (which they deserved and lost ultimately because of goal kicking) would probably have been the biggest upset ever in the cup, up there with Gerrard's beating 'Rock c.2010. Such a pity. Kilkenny beating Rock was a bigger upset for me. agreed. in defense of the young lad they were all tough kicks I think and the gave the last one a great chance. on target but just short. FAIR PLAY TO YOU. I HOPE YOU DIDN'T GET PNEUMONIA YESTERDAY! HORRENDOUS CONDITIONS. Clongowes and Blackrock won their 1st games in the JCT over Roscrea and Terenure. Clongowes, Blackrock, St Michaels, Wesley, Gonzaga, Belvedere..
Nice to hear the incidents in Munster yesterday were well handled. Well done to all. Newbridge beat Marys 21 - 0 in the JCT. Belvo beat Michaels yesterday, was a good game, Belvo played conditions better and had luck on their side a bit. 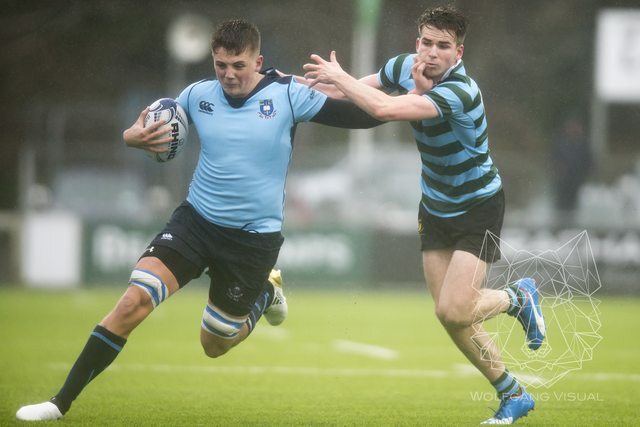 Both 10's very good, O'Sullivan for Belvo class as always and Dunne for Michaels impressed. Blackrock defeated Terenure yesterday 27-7.
goreyguy wrote: Blackrock defeated Terenure yesterday 27-7. What's the story with Liam Turner at Rock, assume he's injured? Pity, he's a cracking player though he's a small enough lad. Has another year left though I believe.